The Canterbury rugby shirt available for the british army. Ideal for the Army v Navy rugby match. 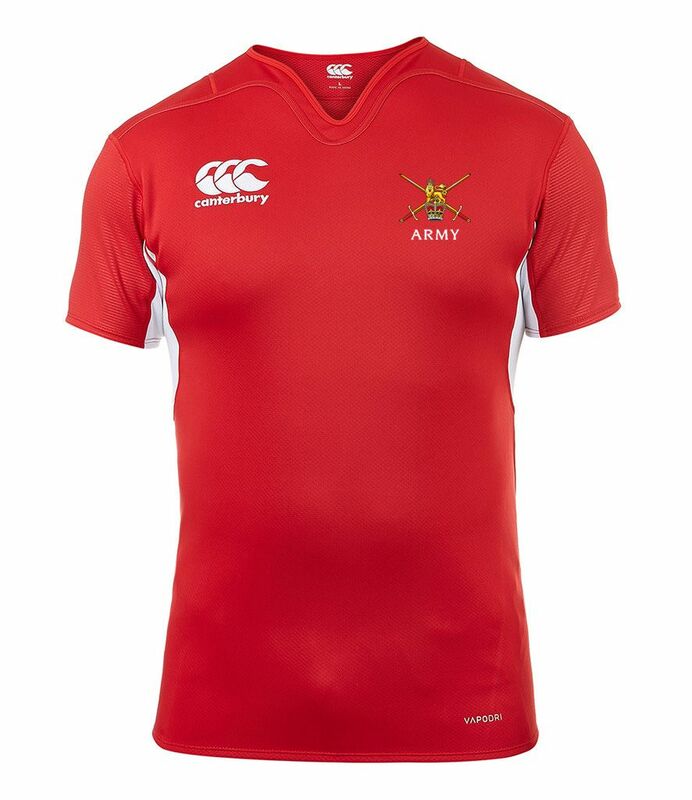 Introducing the new Canterbury rugby shirt with the British Army badge on the left chest. Available in Red on a special order basis*, this stunning shirt will not look out of place anywhere. *SPECIAL ORDER PRODUCT. PLEASE ALLOW UPTO 10-14 DAYS FOR DELIVERY.